Apple has announced that the iPad will finally go on sale on the 28th May 2010 in the UK, and in eight other countries around the world including Australia, Canada, France, Germany, Italy, Japan, Spain, Switzerland. Apple still haven’t released any details on how much the iPad will cost in the UK, although we should know that by Monday when the iPad will be available to pre-order in the UK. This is good news, as I suspect many people expected the iPad to be delayed in the UK again, after the large sales reported in the US. We will let you guys know on Monday how much Apple will be charging us for the WiFi iPad and iPad 3G, you can read the full press release below. CUPERTINO, California—May 7, 2010—Apple® today announced that iPad™ will be available in Australia, Canada, France, Germany, Italy, Japan, Spain, Switzerland and the UK on Friday, May 28. 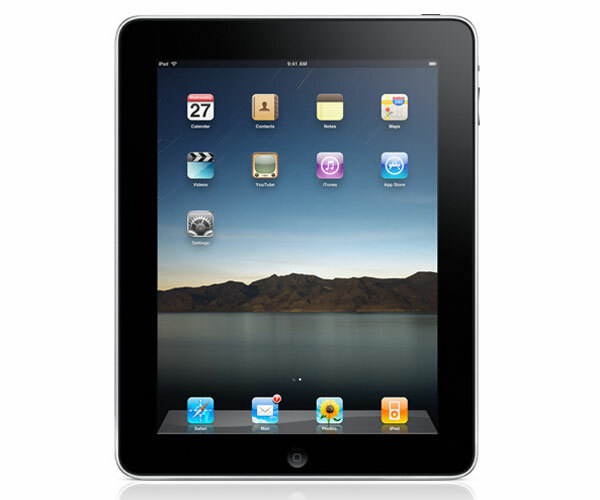 Customers can pre-order all iPad models from Apple’s online store in all nine countries beginning on Monday, May 10. In the US, Apple has already sold over one million iPads and customers have downloaded over 12 million apps from the App Store, as well as over 1.5 million ebooks from the new iBookstore. The App Store on iPad lets you wirelessly browse, buy and download new apps from the world’s largest app store. iPad includes 12 new innovative apps designed especially for iPad and will run almost all of the more than 200,000 apps on the App Store, including apps already purchased for your iPhone® or iPod touch®. Developers have created more than 5,000 exciting new apps designed for iPad that take advantage of its Multi-Touch interface, large screen and high-quality graphics. Apple plans to release iPad in Austria, Belgium, Hong Kong, Ireland, Luxembourg, Mexico, Netherlands, New Zealand and Singapore in July. Apple will announce availability, local pricing and pre-order plans for these nine additional countries at a later date.